With Memorial Day just around the corner, it's finally time to tuck your transplants in the ground. 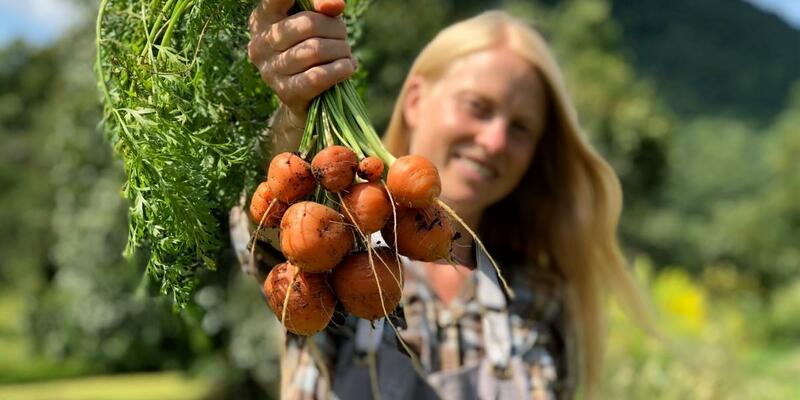 Whether you're planting them in raised beds, a large garden or in a container on your deck, here are five tips to boost their health and, as a result, the beauty and abundance surrounding you this season. We grow thousands of certified organic transplants for our farm store each spring. First, know this: Healthy, unstressed transplants grow the greatest abundance. Healthy transplants are short and stout, deep green and not root bound. See the gallery at the bottom for pictures worth a thousand words. Transplants, whether you grow them or buy them, are rather sensitive little beings.